Ms Chopra took to Twitter, where in a tweet, she prayed for the weather gods to clear the skies and then in another tweet, expressed her regret in being unable to attend the ceremony. 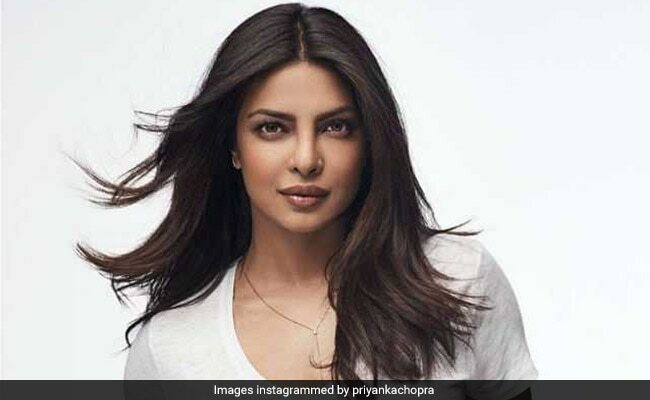 Actor Priyanka Chopra was "heartbroken" when she learnt that she would not be able to attend a convocation ceremony in her hometown, Bareilly in Uttar Pradesh. Ms Chopra was supposed to fly from New Delhi, where she is currently, to Bareilly, but the fog situation in New Delhi spoilt her plans. Ms Chopra took to Twitter, where in a tweet, she prayed for the weather gods to clear the skies and then in another tweet, expressed her regret in being unable to attend the ceremony. Ms Chopra tweeted saying, "Weather Gods and Goddesses, please do your thing and clear the skies... I really need to get to Bareilly! #FogLockDown #ThisCantbeHappening". After this first tweet, when the Air Traffic Control (ATC) informed Ms Chopra that it would not be safe to travel in the foggy weather, Ms Chopra tweeted her sadness in not being able to cherish "such a special moment". Moments after her first tweet, 'Bareilly' began to trend on Twitter as hundreds of Ms Chopra's followers expressed concern with her inability to attend the ceremony. They also expressed solidarity with her through their tweets. Many also thanked her for making 'Bareilly' trend on the micro-blogging site. The convocation ceremony at Bareilly International University, which would award Ms Chopra with an honorary doctorate, also had Union Environment Minister Harsh Vardhan and Uttar Pradesh Finance Minister Rajesh Agarwal as guests. The actor also came out with a statement afterwards, which said that it was not just the convocation that she was looking forward to, but also in reconnecting with her past life in Bareilly, a city she would have visited after a gap of around five years. "I was really looking forward to going back to Bareilly... Not just to receive the honorary doctorate but also to see old friends and family and just reconnect with a city that has been such an important part of my life," Ms Chopra said in her statement. In her statement, Ms Chopra also said her team had explored all options possible, but that the fog had "put to rest all plans for today." She also thanked the university for understanding her inability to attend the function and wished good luck for the university's graduating students.